Denise Rivera takes you on a musical journey through Mexico, Spain, Brazil and Argentina with her music. The performance binds old with new. 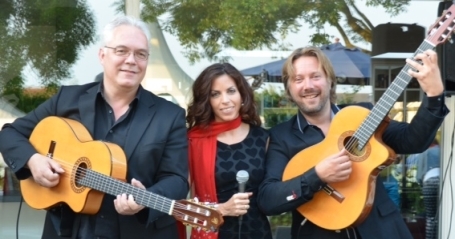 Original songs together with other well-known Latin hits including popular classics are performed with two acoustic guitars creating a warm, unplugged atmosphere from relaxing background music to up-tempo rhythms that keep you from your seat. Denise Rivera’s background makes her the ideal performer for this type of music. She has had a lot of on-stage experience in all the countries where she has lived. In Spain she performed with Latin artists like Nacho Cano (Mecano), Enrique Iglesias, Marta Sanchez, La Union and Antonio Flores. In the Netherlands she has performed with Jody Bernal, Edsilia Rombley, Cor Bakker, Candy Dulfer, and recently as Special Guest for the Orquestra of the Royal Dutch Airforce. In February of 2010 she was asked to sing for Mark Rutte (the current Dutch prime minister) during the kick-off of his campaign. An unforgettable performance hightlight for Denise was when she performed for Queen Beatrix of the Netherlands during an official visit to Makkum for Queen's day in 2008 and they ended up dancing salsa together!